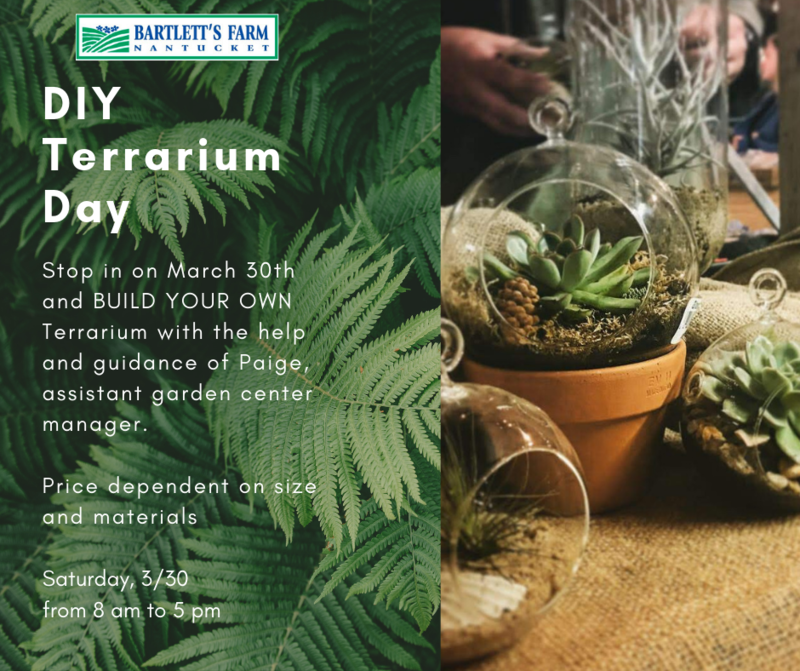 Stop in on Saturday, March 30th anytime between 8 am and 5 pm and BUILD YOUR OWN Terrarium with the help and guidance of Paige, our Assistant Garden Center Manager. Choose from a wide variety of glass, whimsical air plants, succulents and other accents to truly make it your own. Great for kids and adults alike! The workshop is free, price of finished terrarium varies depending on materials. Hope to see you!